The major reason big trucks can cause so much damage to a passenger vehicle is their vastly greater size and weight. A tractor-trailer on Illinois roads can weigh up to 80,000 pounds – about 20 times the weight of the average car. Thus, when a truck crashes into a car, it is easy to see which vehicle is likely to sustain more damage. For the passengers of that car, serious injuries and even death can be likely outcomes. Figuring out the cause of a crash can play a major role if you intend to pursue legal redress. Suing the wrong defendant can leave you with nothing, so it is important to consult an attorney who knows how to unravel the complexities of a trucking accident and develop an effective approach. Like any other piece of machinery, a truck can malfunction. This usually happens either due to poor maintenance or a defective part. The owner of the truck bears the responsibility of ensuring regular inspections, maintenance and repairs as needed. 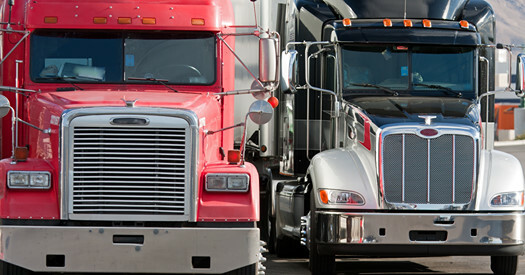 The truck driver may play a part by failing to alert the trucking company to problems he or she notices while driving, thus delaying necessary repairs. When it comes to a defective part, responsibility may lie with the manufacturer who produced the part as well as the truck manufacturer that incorporated the defective part into the truck. In other cases, a properly manufactured part can develop a defect because of a repair mechanic’s negligence or improper operation by the driver. On one hand, many truck drivers have a great deal of experience that can help them skillfully avoid potentially dangerous situations. On the other, certain aspects of the job decrease drivers’ ability to react promptly and put that experience to use when a crash is imminent. Although there are regulations in place mandating rest breaks, lack of sleep continues to present a serious problem. Truckers may try to avoid the regulations due to immense pressure to make pickup or drop-off deadlines. Drowsy driving significantly increases the risks of an accident. Finally, a failure to properly secure a truck’s load can result in cargo spillage. This can cause extensive damage as the cargo hits various vehicles, potentially resulting in a pile-up. Next Post Did your accident result from defective crashworthiness?